Lots of business owners waste time manually creating a WooCommerce price list for their website. While it’s true that WooCommerce doesn’t come with a built-in price list, this doesn’t mean that you have to do it manually! In this tutorial, I’ll show you how to use a WordPress price list plugin to create a dynamic price catalog listing the costs of all your products. You can choose whether to keep the pricing page public or hide it from public view. What is a WooCommerce price list plugin? A product price list is basically an easy-to-read catalog of product prices. It might list the pricing for all your products in a single list, or you might have different lists for each category. If you have a printed catalog then it’s often worth having a public or hidden price list for customers to view online. This saves having to re-issue a printed price list every time your pricing changes. A WooCommerce price list plugin is normally quite simple, consisting of a product table view with 2 columns: Name and Price. This lets customers compare all your products alongside one another based on price. Ideally, a WooCommerce pricing table can be sorted by price so that customers can view the list starting with the lowest or highest cost products. You might also want to add extra columns of information (e.g. category or product attributes). Some price list plugins have extra features such as filters. These let customers find specific products and refine the table to view prices. As you can see, there are lots of different types of WooCommerce pricing table. You can create all sorts of product price list with the WooCommerce Product Table plugin, which I’ll tell you about next. WooCommerce Product Table is the bestselling WordPress plugin by ourselves at Barn2 Media. It instantly lists products in a simple or a more advanced table view. It’s the perfect WooCommerce price list plugin because it creates flexible product price lists, with no need for manual data entry. You don’t have to re-enter the prices or import from another program such as Excel – the plugin creates pricing tables instantly using information already stored in the WordPress database. 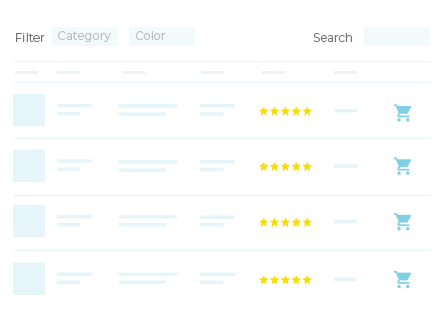 You can keep your pricing table simple with columns for product name and price, and no extra features. Or if you prefer, you can add columns of extra product data, plus extra features such as search box and filters. There are options to list all product prices or specific products only (for example, products from a certain category). First, I’ll tell how how to use the Product Table plugin to create a simple price list and more advanced pricing tables. Later, I’ll explain how to make this page available to the public, or to create a hidden price list which only certain people can see. Create a public or hidden price catalog on your site now! Get WooCommerce Product Table, then install the plugin by following the instructions in the confirmation email. You need to activate your license key for the plugin to work. Use Pages > Add New in the WordPress admin to create a page. Call it ‘Pricing Catalog’, ‘Price List’ or whatever you like. Now, add the shortcode [product_table columns="name,price"] to the page. Save the page and view it. In just 4 steps, you created an instant WooCommerce price list. The plugin has listed all the products in your store in a dynamic table layout with columns for name and price. Customers can find products by typing in the search box, or click on the ‘Price’ column header to sort by price in ascending or descending order. Easy! The simple price list in the previous section may be all you need. However, WooCommerce Product Table is a powerful plugin and you can also use it in more advanced ways. There are lots of options to configure your price catalog, add multiple pricing tables and much more. The plugin has dozens of options, but here’s a summary of the most relevant ones for creating a WooCommerce price catalog. Create multiple price lists with different products. – By default, the WooCommerce price list plugin lists all the products from your store. Alternatively, you can create separate pricing tables – for example, one list for each category. Add extra columns of product data. The WooCommerce pricing table plugin supports all the built-in WooCommerce product data, plus extra fields such as custom fields and taxonomies. This lets you display extra product data in the pricing table. Think carefully about which products to include, and add whichever columns will help to increase sales! If you want customers to be able to buy directly from the price list then you can even include add to cart buttons or checkboxes. Add product filters – If your price catalog contains lots of products, then you need to provide an easy way for customers to find what they want. As well as the (optional) search box above the table, you can add filter dropdowns above the pricing table, or filter widgets in a sidebar. Change how the price list is sorted. By default, products are listed in the order set in the main WooCommerce settings (WooCommerce > Settings > Products > Display). You can change this to order the WooCommerce pricing table by any column. For example, [product_table sort_by="price"] will sort by price in ascending order, with the cheapest first. There’s also an option to change the sort order. Customers can override this by clicking on any column header in the price list. Fast-loading Lazy Load option. WooCommerce Product Table is very quick to load, but if you have 100’s of products (or more) then that’s a lot to load all at once. You can improve performance for big price lists by activating the lazy load option, which loads 1 page worth of products and pricing at a time. Lots of people like to create a WooCommerce price list that also acts as a one-page order form. The aim is that customers can view prices and order from one page, without having to visit a separate page for each product. You can do this by including an add to cart column in the price list. Or if you have too much information (or too many product variations) to fit into a simple price list, then you can add quick view instead. 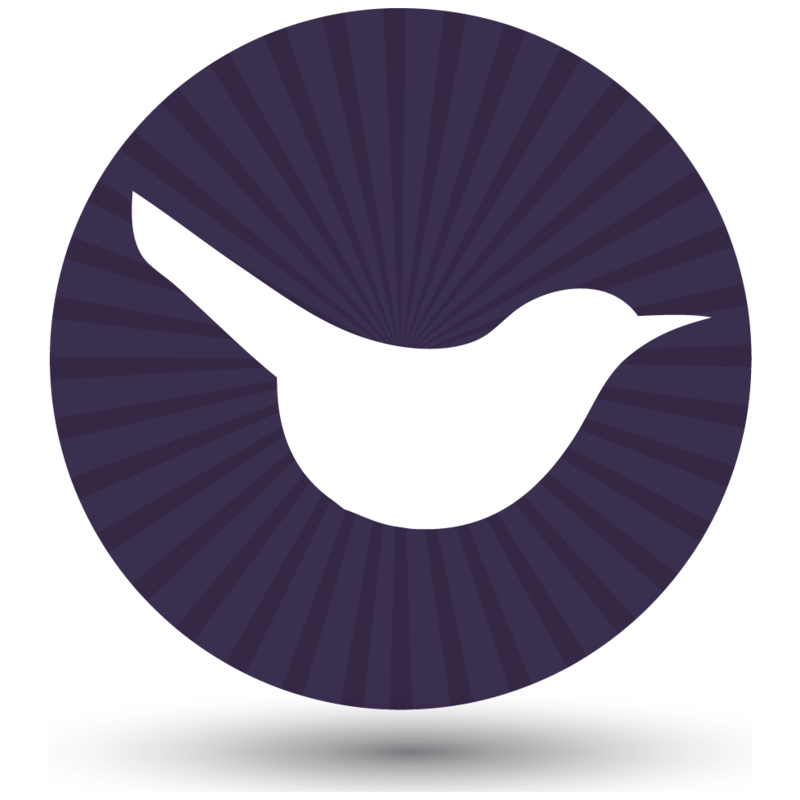 Add quick view buttons or links to your WooCommerce price lists. 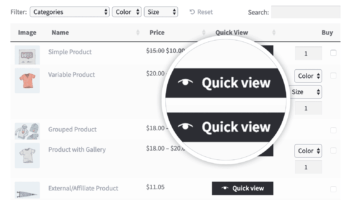 By using WooCommerce Product Table with its sister plugin, WooCommerce Quick View Pro, customers can open a quick view lightbox for each product. This allows for faster shopping than sending customers to individual product pages, as they remain on the price list page at all times. You can choose what information to show in the quick view including product images, specific information, and add to cart options. The easy way to add quick view to your WooCommerce price lists. It’s easy to make your WooCommerce price list available for public view. You can link to the price list page in exactly the same way as any other link in WordPress. For example, you can link to the pricing list page from your navigation menu, or anywhere else on your site. You might want a ‘Price List’ link in the menu, or a button in a sidebar widget. Or if you prefer, you might want to hide the price list from public view. I’ll tell you how to do this next. So far, you’ve learned how to create a WooCommerce price catalog listing your product prices. But what if you want to keep your pricing private and hidden? Fortunately, there are a few ways to do this depending on the privacy level you need for your price lists. Choose this option if you want to hide the price catalog page from public view, while leaving the rest of your store (including the prices on normal product and category pages) public. You can easily password protect the page where you’re using the WooCommerce price list plugin. Simply choose the ‘Password Protected’ option from the ‘Visibility’ settings in the ‘Publish’ box on the Edit Page screen. Only people with the correct password will be able to access your price lists. WooCommerce Product Table integrates with the free Hide Price Until Login WordPress plugin. If you add this plugin, then the product prices on your price list AND elsewhere in your store will be hidden. They will then appear when the customer logs into their user account. Perhaps you want a public store with prices, with a completely hidden area where both the products and price list are hidden. You can achieve this using the WooCommerce Password Protected Categories plugin. The plugin lets you create one or more password protected categories and protect them with one or more passwords. Password protected categories and their products can either be shown in the public parts of your store and price list. People must enter the password to access the single product page. Alternatively, you can hide password protected products from your public store and price list so that they only appear once someone has entered the password. You can use the same WooCommerce privacy plugin to create private categories. Their products will only appear to logged in Editors and Administrators. (You can change which user levels private products are visible to with the User Role Editor plugin.) The products in private categories are hidden from everyone else. This is a good option if you want a single price list, with some product available to everyone and others only visible to specific user levels. You can create a single WooCommerce price list with public products visible to everyone, and private products which only appear for the correct user levels. Can customers print the WooCommerce price list? The WooCommerce Product table integrates perfectly with the free Print, PDF, Email by PrintFriendly plugin. This simple plugin can add Print or Save As PDF buttons to the top or bottom of your WooCommerce price catalogue. Create your own price list today! By now, you’ve learned how to create a WooCommerce price list and how to customize it to suit your needs. You’ve also learned how to make it public or hide it from public view. Now you can start creating dynamic price lists for your own products. Once you’ve set up your pricing tables, the prices will update automatically whenever you change your pricing. You don’t need to worry about keeping the list up to date. I’d love to hear how you get on. Please add your comments and questions below. Hi Katie, I've been looking for a plugin like this! However, can it do the following: 1) include columns for additional price levels (I have pricing tiers for my b2b customers)? 2) Can it include a column for stock level, if so, can i customize the stock level to show "high, normal, low) instead of the actual stock quantity? I'm trying to create an pricing/inventory list for my b2b customers that they can access online. 1) You can use a plugin such as Advanced Custom Fields to create a custom field for each price level. 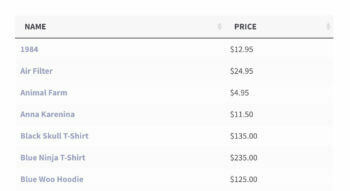 You can then add the other prices to these custom fields and display them as columns in the product table. 2) WooCommerce Product Table supports a 'stock' column which will either show In Stock, Out of Stock or the actual stock level (this is determined by your global WooCommerce stock settings). There's no option to show high/normal/low stock and you would need to write some custom code to achieve this. Hi there! I need a plugin like this for our B2B site. However, I am using a plugin called Customer Speicific Pricing. Each of our B2B customer login and see their own pricing. they do not have pricing on all our products. I need to create a price list for each customer account with just the products they have pricing on. Is this possible with your plugin? Thanks for your comment. It sounds like you need a way to hide your B2B products from public view, and to show different pricing to different customers. 2. 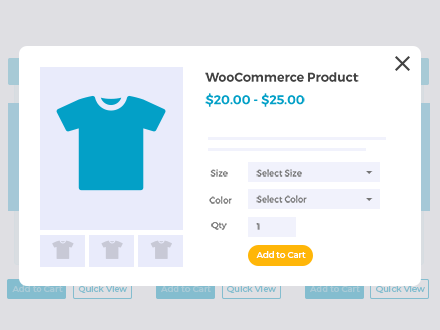 If you don't want to clone products then you can use our WooCommerce Private Store plugin to make the B2B shop completely private, and continue using the Customer Specific Pricing plugin to show different pricing for each customer. If you have any more questions about your specific use case, feel free to reach out to us at support@barn2.co.uk.